Patient Accountability: What’s the Big Deal? 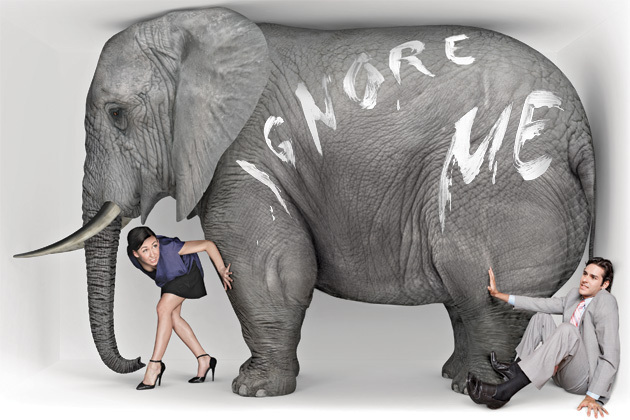 With every doctor, pundit and reporter out in the media about doctors’ fees presently, I thought I would let them go at it and consider instead an item that I consider to be the “elephant in the room” of physician compensation negotiations everywhere in Canada. Almost every physician in Canada that I know believes that our health care system would be much improved if patient accountability was expected of Canadians. Governments, however, have been opposed to introducing any patient responsibility despite the fact that there is significant evidence that there would be benefits for both the system and the patient. In fact, in conversations about how to manage the costs of the system, patient accountability is that subject which the government will never introduce, no matter how much doctors want to talk about it. What surprises me about this is that many of my patients and their families are perfectly prepared to accept some degree of responsibility. What’s important about this is that my patients are mostly adolescents, a group that many believe are not at all prepared to be accountable for many of their actions. Still, many are not convinced. It is absolutely clear that they have a sense that it would be wrong for them not to honour the appointment, even though they did not want it and usually did not make the appointment. That is the degree of responsibility that my young patients feel toward an appointment with a doctor for medical care. You can also imagine that their parents feel the same way –I know it by the look on a parent’s face when I tell their son or daughter that I only want them to stay if they want to be there. There are exceptions, of course, to this experience but the patient who wants to completely opt out of being in a responsible relationship with me is actually rare. Considering that supposedly irresponsible adolescents can accept responsibility for their mental health treatments, I am driven to ask: why can we not expect patient accountability at the system level? What might this entail? In my clinic, it means that, first of all, you keep your appointments and, if you can’t, you let us know within enough time that we can book someone else. Each patient is allowed two appointments that they can miss with no notice because we recognize that sometimes cars don’t start in winter, people get sick and it took longer to try on your prom tuxedo than you had planned (a real reason). If you miss the third appointment, we close the file. We also expect people to get their bloodwork and other tests done and to try to remember to participate in treatment by doing their Cognitive Behaviour Therapy Homework or taking medication. My experience is that people accept this. I know that readers will have different views about patient accountability, and all of us have had negative experiences with inappropriate use of our health care resources, by any and all partners in the system. But we cannot just continue to ignore this. It’s time to deal with the “elephant in the room”. Great post, Dr. Beck. You can take this further– Should lines be drawn for patients who continuously use cocaine and end up admitted to med/surg floors or even ICU’s for hypertensive emergencies, ACS, acute exacerbations of heart failure and COPD? What about the patient with multiple admissions for DKA because they stop taking their insulin despite having access to the medications at home? People take accountability best when they are involved in making the rules for which they are held to be responsible. In Canadian healthcare, where 80% of interactions take place in a business environment (the family doctor’s office) there are few examples where patients are part of the development, implementation or evaluation of the accountability framework. For example, I doubt that many of your patients were involved in developing the “three strikes” rule that closes their file, yet they are now accountable to it, and you have an enforcement issue that requires constant interpretation. It might be better – and certainly more time-consuming and satisfying – to have a dialogue with your patient population about both directions of accountability. I am leading an initiative where we bring providers and patrons together to co-design interdisciplinary primary care, and this article is a great, thought-provoking piece on shaping accountability (and to whom) in primary care. Spoiler note: our lens includes accountability in three directions – provider, patrons and the public interest! If anyone has thoughts on this framework, please contact us through our website: http://www.vanchi.ca. Patients should definitely carry some accountability and responsibility for their healthcare. However, sadly, they are rarely well equipped to do so, and very often the dynamics in the exam room are such that the relationship is more one of deference to the physician than of a partnership of shared responsibilities. Endowing patients with the freedom, time and comfort to express what’s ailing them is an important first step in helping them assume responsibility for their care. As consumers, patients are probably better equipped and educated to maintain their cars than they are to manage their health and well-being. It would be ideal if the school systems provided some education to youth on health management and “planned patienthood” to better prepare them for the eventuality of: navigating through the healthcare system, assuming some autonomy to allow them to make efficient use of the limited face time with their healthcare providers, knowing what questions to ask, and raising their level of health literacy. As for the rest of us, more should be done to educate the masses so that the levels of health literacy can rise above the currently troubling level. On the other side of the desk, it would be wonderful to see more healthcare providers improve their active listening skills, as well as their cultural competencies and sensitivities – these are aspects which require training and practice as with the myriad of skills acquired in med school. Arriving at a point between patient and provider where shared decision making can produce optimal results requires an extra dollop of soft skills on top of the requisite medical training and experience. There are serious problems with the quest for “accountability” from patients, and why it hasn’t been brought forth by governments. The first is the definition. What do we mean by accountability? Is it only showing up for appointments? Or does it entail compliance with treatment? Or not seeking care elsewhere when it’s provided after-hours by the family doctor? All of the above? The second issue the purpose in demanding accountability from patients. Is it continuity of care? Therapeutic benefit? Cost containment? Physician income (crass as that might sound)? These goals are not necessarily aligned, and in some instances might be mutually exclusive. The third problem, and in my opinion the most important, comes from the fact that the patients least likely to be held accountable (the “troublemakers”) are the same patients that are least able to be held accountable. Those patients are poor, disabled, elderly, suffering from mental illness, or all of the above. They also happen to be the heaviest users of the health care system, and the ones driving the ever-climbing costs of health care. The ordinary, middle-to-upper-class patients don’t need to be held accountable, because they don’t cause problems to be held accountable for. There are lesser issues as well that are nonetheless germane to the conversation. People will travel long distances to see their FP for checkups, but it’s hard to stop them from using the walk-in clinic across the street for a UTI or child’s fever. As doctors, we need to get our own house in order before foisting expectations on our patients at the system level. That means deciding on the proper role of the doctor in modern health care (and whether we still expect exclusivity in the “gatekeeper” role), and revisiting the issue of relativity.